A new intercontinental analysis of marine fossils reveals that warming of the polar oceans during the Eocene (a greenhouse era that provides a glimpse of Earth’s probable future climate) was greater than formerly believed. By examining the chemical composition of fossilized foraminifera (minute single-celled animals that inhabited shallow tropical waters) researchers formed precise estimates of tropical sea surface temperatures and seawater chemistry during the Eocene Epoch, 56-34 million years ago. Using this data, researchers tweaked estimates from earlier foram studies that recorded polar conditions, to reveal tropical oceans warmed considerably in the Eocene, but not as much as polar oceans. Notably, when contemporary climate models – the same as those used in the United Nations’ latest Intergovernmental Panel on Climate Change reports – were run under Eocene conditions, many could not reproduce these findings. Instead, the models steadily underestimated polar ocean warming in the Eocene. This inconsistency may result from a gap in understanding the climate system or from what is known about the Eocene, said David Evans, the lead author of the study and Leverhulme Research Fellow at the University of St Andrews’ School of Earth and Environmental Sciences. If it does really relate to the climate system, it raises the likelihood that predictions of future polar warming are also very low. Yes, the tropics are warming but nowhere near to the same degree as the polar regions. That’s something we really need to be able to understand and replicate in climate models. The fact that many models are unable to do that at the moment is worrying. The team published their findings recently in the Proceedings of the National Academy of Sciences. Scientists often examine the Eocene to understand how the Earth reacts to higher levels of carbon dioxide. During the Eocene, the concentration of carbon dioxide in the atmosphere was over 560 parts per million, no less than twice preindustrial levels, and the epoch kicked off with a global average temperature over 8 °C/14 °F - warmer than today, slowly cooling over the next 22 million years. These features make the Eocene a good period on which to test scientific understanding of the climate system, said Laura Cotton, study co-author and curator of micropaleontology at the Florida Museum of Natural History. One of the difficulties has been accurately establishing the difference between sea surface temperatures at the poles and the equator during the Eocene, with models forecasting greater variances than data suggested. The research team used large bottom-dwelling forams as “paleothermometers” to acquire a more precise temperature reading. Forams have a remarkably long fossil record, spanning over 540 million years, and they are frequently well-preserved in ocean sediments. A majority of them are small enough to fit into the eye of a needle – Cotton describes them as “an amoeba with a shell” – but they were so plentiful during the Eocene that there are whole rocks composed of them. If you look at the pyramids, they’re full of these tiny little lentil-like things – those are forams. The ancient Greeks thought the pyramids were made from the fossilized lentils of slaves, but it’s just the limestone from one of these deposits that is absolutely filled with them. Forams develop their shells in concert with ocean chemistry and temperatures, acting as minute time capsules, each having a precise record of the temperature and ocean chemistry during its lifetime. Their shells are mainly made of calcium, oxygen, and carbon. Heavy isotopes of oxygen and carbon bond together as a foram forms its shell – the cooler the temperature, the more they bond to each other. By examining these clumped isotopes from fossil specimens located in Indonesia, India, and Tanzania, the researchers could gain an accurate reading of sea surface temperature spread through the tropics in the Eocene. They also lasered a small hole in each specimen to measure the quantity of calcium and magnesium that vaporized, exposing the seawater chemistry. They discovered that tropical sea surface temperature in the Eocene was around 6 °C – around 10 °F – warmer than today. The team then used their dataset from the tropics to back-calculate the chemistry and temperature of polar oceans, depending on earlier studies of forams that captured the conditions of those regions. With this correction factor set, they examined the degree to which polar oceans warmed more than the tropics, a feature of the climate system referred to as polar amplification. Their data revealed that the difference between equatorial and polar sea surface temperatures in the Eocene was an estimated 20 °C, about 36 °F. Currently the difference is 28 °C, exposing that compared to the tropics, the polar regions are more sensitive to increases in atmospheric carbon dioxide. Worryingly, said Evans, when the team compared their data with a variety of latest climate models under Eocene conditions, most models underestimated polar amplification by around 50%. The two models that came nearest to replicating the team’s data had one main aspect in common – they altered the way they considered cloud formation and the endurance of clouds in the atmosphere, especially in the polar regions. To us, that looks like a promising research direction. If – and it’s a big if – that turns out to be the right avenue to go down, that could play into the models we use for our future climate predictions. The study was supported by Yale University, the Yale Analytical and Stable Isotope Center, the Israel Science Foundation, the Netherlands Organization for Scientific Research, a Natural Environment Research Council Capital Equipment Grant, the Research Foundation Flanders, the Netherlands Earth System Science Center and a Horizon 2020 grant. 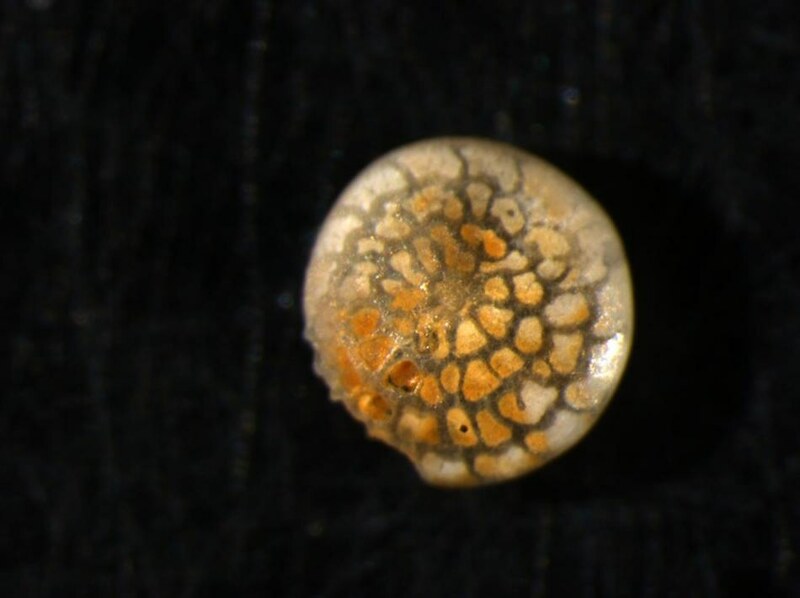 The Tanzania Commission for Science and Technology and the Tanzania Petroleum Development Corporation assisted in the recovery of foram specimens from Tanzania.